The video streaming business is experiencing similar challenges as the music industry as it struggles become profitable. Earlier this week Netflix stock careened 24% (+$42.73) in after hours trading as the company announced robust first quarter gains in streaming subscriber growth. As of March 31, Netflix had about 29.2 million subscribers, revenue of $1.02 billion and profits of 5¢ a share. For comparison, HBO’s 2012 year end subscriber count was 28.7 million. That’s a lot of numbers, but what is the underlying story? Netflix operates on a subscription model much like Pandora and Spotify. For $7.99 a month Netflix customers can stream unlimited content to a variety of screens—HD TV, mobile, tablet or desktop. Unlike Pandora and Spotify, there is no free (ad-supported) service. Another differentiator between the video and music streamers, Netflix is actually producing and creating its own exclusive content. Earlier this year the channel debuted “House Of Cards” which received critical acclaim and boosted subscriptions. Talking about the effect of the mini-series on subscriptions, Netflix CEO Reed Hastings told stock analysts “It’s a nice long-term tailwind.” The company plans to spend $5.63 billion over the next few years on original and exclusive content. Like the music industry, Netflix also has a piracy problem with its consumers and or multiple family members (over) sharing the same log-in. 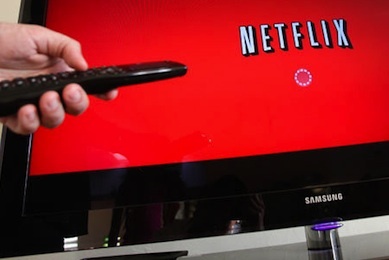 According to a Bloomberg article, Netflix is facing a crossroads where in order to remain profitable and add subscribers they must either raise prices or tighten up sharing rules. Currently two people can watch different programs at the same time using the same subscription. The article quotes former EMI Music Group exec John Rose, now managing director for media, technology at Boston Group Consulting who says, “In general consumers don’t see sharing accounts as theft.” Rose notes consumers have many choices and raising prices, for example creates a risk they will go elsewhere for content. In fact, despite the rosy quarter, stock analysts seem to be quite unsure whether Netflix can actually reach a scale where it can achieve long-term health. Current research shows Netflix customers enjoy 87 minutes of daily streaming per customer. Hastings hopes reaching his goal of 90 million U.S. customers (a 300 percent increase) over two years will help pay for all the content they are purchasing. Will he raise prices, tighten sharing, attract attention with great content or a combination of all three? Or will Netflix get into the music business and offer one subscription for music and video content? The sales week ended 4-21-13 had little to distinguish itself. 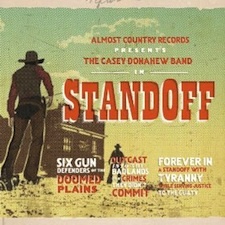 The big ACM bump happened last week, and country mustered just one Top Ten debut this week–Texas troubadors, the Casey Donahew Band who grabbed lucky No. 7 with over 13k (75 percent digital) in sales. I’m not familiar with the CDB, but a quick look at the band’s web site reveals a professionally run organization that any Music City manager would be proud to helm. Mr. “Voice” Shelton reclaimed the No. 1 Top Country Album position with over 42k units and The Band Perry (37k) moved from No. 4 last week to No. 2. Sales for Brad Paisley’s No. 1 debut last week fell 66 percent to about 34k giving him a two week total of 135k. Other notable debut releases included Steve Earle and the Dukes (No. 12; 11k); Granger Smith (No. 15; 10k) and Willie Nelson (No. 16; 10k). Country track sales were off 21 percent w/w but remain ahead of last year by 6.6 percent. Florida Georgia Line continues to ignite the country tracks chart as its combined versions of “Cruise” continue to be the week’s screamin’ stream (No. 1; 129k) . The track is now at 2.85 million downloads and will soon pass three!